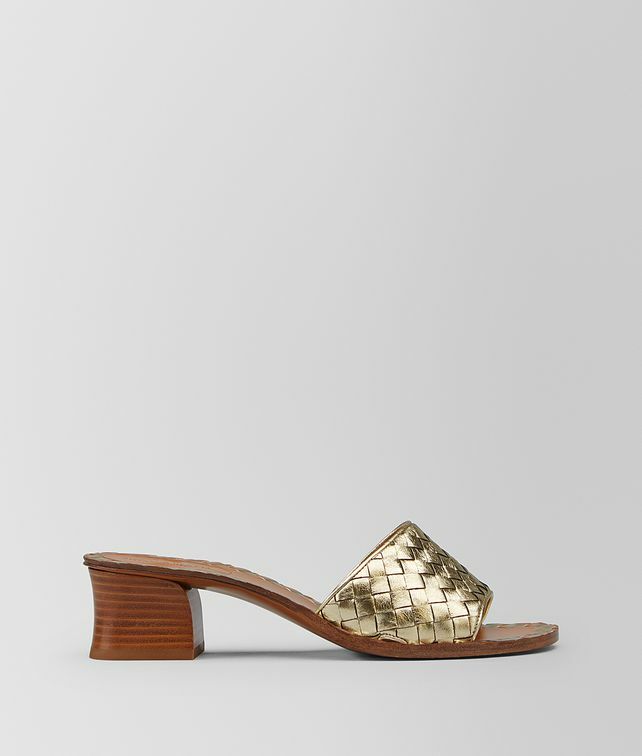 The Ravello mules are crafted from a hand-woven nappa upper in a bright metallic hue, adding a sophisticated touch to the essential mid-heel design. The pure leather sole features a chunky stacked heel and finished with intrecciato contour detailing. Heel Height: 4.5 cm | 1.8"